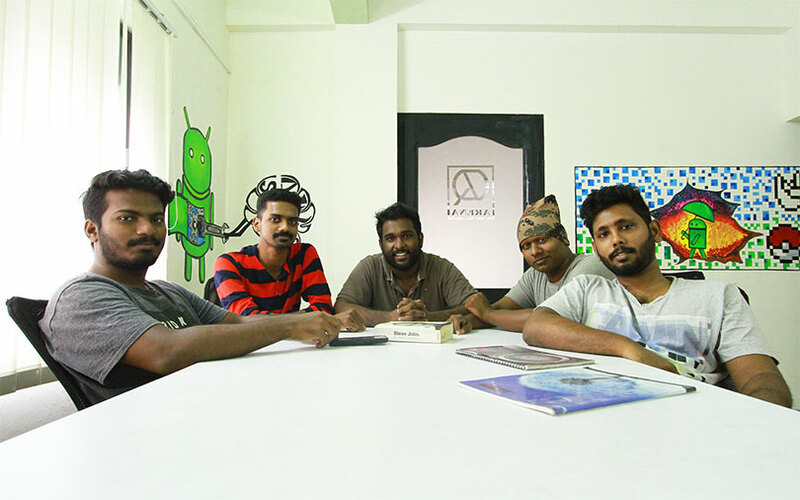 Kochi-based Quadzeta Technologies Private Limited, which operates inFact, a mobile app that aggregates news and infotainment content, has raised an undisclosed amount in angel funding from Joel George, a Saudi Arabia-based angel investor. The startup will use the funds to develop an iOS application and expand its news content coverage to regional Indian languages, Rohit Sajeev, co-founder and chief technology officer of inFact, told VCCircle. The app has two categories—Learn inFact, where users share categorised informative global stories, and News inFact, where news publishers share news content. It currently aggregates infotainment stories from across the globe. The news content arm is scheduled for launch later this month. Sajeev said that news content will have a detailed timeline and video explanations. Quadzeta was founded by Nikhil G Daniel and Sajeev in mid-2017. The startup’s propriety post prediction algorithm IRIS (inFact Research and Intelligent Script) organises and customises the content provided by publishers. All user posts are moderated before publishing, while content from partner news publishers will be directly presented to the users. inFact plans to launch the news segment in English and will expand the coverage to regional languages such as Malayalam, Tamil, Telugu, Bengali, Kannada and Hindi. The company will start pushing non-intrusive sponsored content in the form of informative content and video advertisements based on user interests analysed by its IRIS technology. Much like the market-leading news curation app Inshorts, the shortened content is presented on the app in the form of tiles. Horizontal swiping will take users to the original web link, while users can flip through other stories by vertical swiping. Inshorts, which began as a Facebook page in 2013, picks news stories from different categories, edits them and provides the essence of those stories within 60 words each. In December 2017, the company had raised $5 million (Rs 32.2 crore) from existing investor Tiger Global in a bridge round of funding. In July 2015, Tiger Global had invested $20 million (Rs 127 crore) as part of Inshorts’ Series B funding round. In February 2015, the company raised $4 million (Rs 25 crore) in a Series A round from Tiger Global, Japan’s Rebright Partners along with Flipkart founders Sachin Bansal and Binny Bansal. Dailyhunt, one of the largest news content aggregators in the world, recently launched a news-in-brief app christened Newzly. The app offers a summary of trending news articles across multiple genres. The content is available in nine languages such as English, Hindi, Telugu, Tamil, Malayalam, Kannada, Marathi, Bengali and Gujarati. In early 2017, Franklin Templeton Private Equity Strategy had exited vernacular Dailyhunt, selling its stake to existing investor Bytedance of China. Franklin Templeton PE sold its stake in Ver Se' Innovation Pvt. Ltd, which runs Dailyhunt, for around Rs 130 crore ($19.2 million). Dailyhunt had raised multiple rounds of investment from a list of global investors including Chinese content provider ByteDance; Arun Sarin, former CEO of Vodafone; Matrix Partners; Sequoia Capital India; Omidyar Network; and Falcon Edge. Mumbai-based video content discovery platform Flickstree raised Rs 3 crore (around $464,000) in a seed round of funding led by Venture Catalysts in July last year. Former cricketer Sourav Ganguly, Kolkata-based Aditya Group’s Anirban Aditya and Ankit Aditya, and Moksh Sports Ventures also participated in the round.